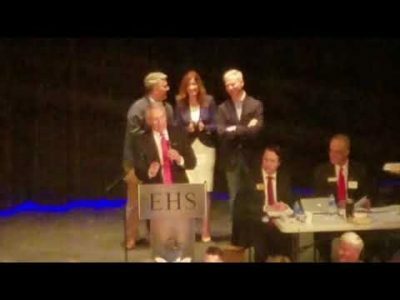 Are these conservative young politicos the future of the Colorado Republican Party? 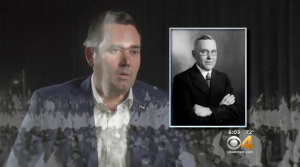 Colorado Dems just introduced one of the most progressive reproductive health bills in the U.S.
After months of silence, Colorado Treasurer and Republican candidate for governor Walker Stapleton is finally trying to address the news coverage of his family’s racist Klan legacy. Stapleton appeared on KNUS radio’s afternoon talk show, hosted by his friend Stephan Tubbs. The casual interview was a perfect venue to deliver his talking points cleanly. Instead, he made it worse – a lot worse. Tubbs was about to ask Stapleton for his response to all the national coverage of his great-grandfather’s leadership role in the KKK, but before he could finish, Stapleton interrupted. Instead of delivering his talking points, however, Stapleton attributed a false statement about deceased U.S. Sen John McCain to civil rights icon Congressman John Lewis of Georgia. Then he said that [incorrect] statement was the one thing that made him “feel good” about the Arizona senator’s death. Stapleton inaccurately recounted a Rush Limbaugh segment about Rep. Lewis’ recent tweet praising Senator McCain. According to Stapleton, Limbaugh claimed Lewis’ praise made him a hypocrite because ten years earlier Lewis had called McCain a white nationalist. [Neither Lewis nor Limbaugh ever used that term.] Knowing that, Stapleton said, makes him “feel good about” McCain’s death because he’s getting attacked for his Klan legacy just like Rush Limbaugh says McCain was attacked by Congressman Lewis. Treasurer Walker Stapleton: “I just want to point out, I was listening yesterday to the Rush Limbaugh show and they talked about Rep. John Lewis tweeting out that McCain was a champion for the dignity of every human being and Rush compared that comment from Congressman Lewis to a comment back in 2008 when he said that McCain’s a white nationalist. “I am deeply disturbed by the negative tone of the McCain-Palin campaign. What I am seeing reminds me too much of another destructive period in American history. Sen. McCain and Gov. Palin are sowing the seeds of hatred and division, and there is no need for this hostility in our political discourse. This radio appearance followed Stapleton’s disastrous on-camera interview with CBS 4’s Shaun Boyd on Monday. 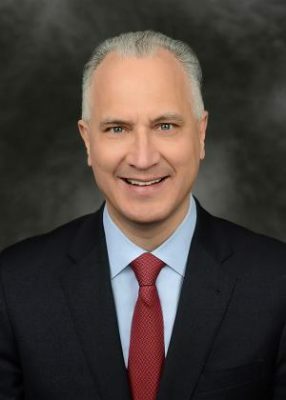 Boyd asked Stapleton if he had ever considered Tom Tancredo, the white nationalist who nominated him at the Republican state assembly, for lieutenant governor. When Stapleton emphatically denied that Tancredo was ever under consideration, Boyd played a clip of another interview Stapleton did with KNUS’ Tubbs, in which he said he’d “love to utilize [Tancredo] because Tom has been invaluable on law and order issues” before answering “we’ll see” to the question of whether or not Tancredo might be his lieutenant governor. 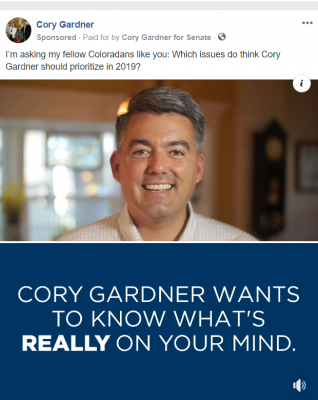 An email to the Stapleton campaign requesting comment was not immediately returned. This story will be updated with any response. Lest anyone think Stapleton’s comments aren’t being given their full context, here is the full transcript of the entire 2:36 exchange, which is available here. 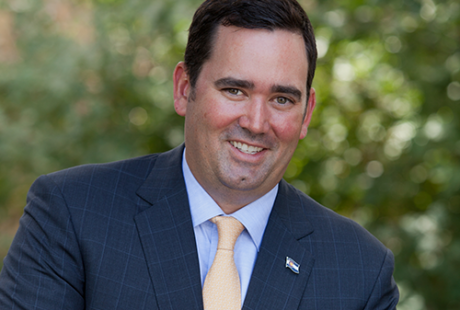 Treasurer Walker Stapleton: “I just want to point out, I was listening yesterday to the Rush Limbaugh show and they talked about Rep. John Lewis tweeting out that McCain was a champion for the dignity of every human being and Limbaugh compared that comment from Congressman Lewis to a comment back in 2008 where he said that McCain’s a white nationalist. Tubbs: Yeah well, I just wanted you to know, that I called it and I will still call it –not just because I’m friends with you– it was a hack job, it was a ridiculous piece and I just want once and for all, your take on that, I know it was several weeks ago, but we haven’t had you on. Stapleton: Absolutely. And my final thought about John McCain if they’re going to disparage an American patriot and hero like John McCain there’s no ends to which they will go. And just for everybody I have multiple times unequivocally stated that I condemn racism in all its ugly forms and I condemn hate groups in all their ugly forms and manifestations as well. But the fact of the matter is, my great-grandfather passed away 25 years before I was born. I am not him, he is not me. To hold me accountable for his actions 100 years ago in Denver, is really to hold all Democrats accountable as well because he was a Democrat- something that never gets mentioned. And it was the Democratic party that was unfortunately aligned 100 years ago with that hate organization and I’m not doing that. I’m proud to be a party of Lincoln and not a Democrat. I think that all of us have ancestors who’ve made mistakes in life. But to try in any way conflate that with my campaign for gov or hold my accountable is pathetic and desperate. So how’s that? Tubbs: Sound bite of the day! This topic contains 0 replies, has 1 voice, and was last updated by Erik Maulbetsch 7 months, 3 weeks ago.